Yokohama. Laid down at Mitsubishi Yokohama Shipyard as Ship No. 2908, a 1,500-ton No. 1 class landing ship. Reserve LtCdr Kato Yoshimasa is appointed Chief Equipping Officer. Launched and numbered T.8. Attached to the Yokosuka Guard Force. Completed. LtCdr Kato is the Commanding Officer. Attached to the Second Transport Squadron, Yokosuka Guard Force. 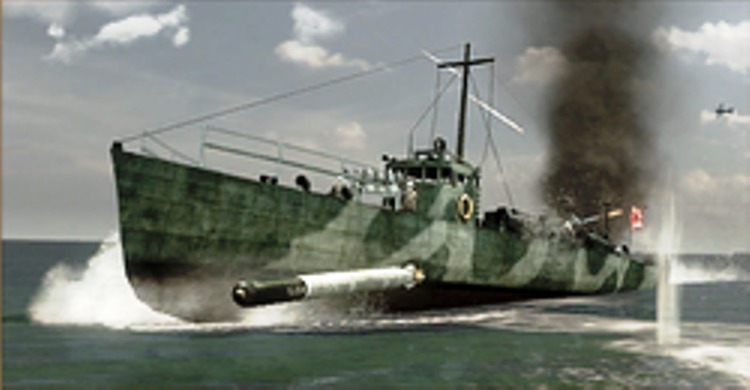 Loads motor torpedo boat (MTB) No. 73. Departs Yokosuka. Arrives at Futami Bay, Chichi Jima, Ogasawara (Bonin) Islands. Unloads MTB No. 73, then departs. Departs Yokosuka for Chichi Jima and Iwo Jima, then returns to Yokosuka. Reserve	LtCdr Ishii Jiro is appointed Commanding Officer. Loads MTB No. 32. Departs Yokosuka. Arrives at Futami Bay, Chichi Jima. Unloads MTB No. 32. T.8 departs Chichi Jima for Iwo Jima on a resupply mission. 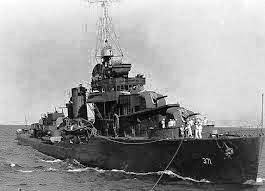 Rear Admiral (later Vice Admiral) Allan E. Smith’s (USNA '15) Task Group 94.9 shells Iwo Jima. Later, SSW of Chichi Jima, destroyers USS CASE (DD-370) and USS ROE (DD-418) sink T.8 at 25-10N, 41-00E.